Technology Strategist at IBM Global Alliance SUSE. Mike is a technical strategist/solutions architect in the SUSE Alliance steam. He is assigned to the Global IBM Alliance and works closely with many groups in IBM to identify, test and document joint solutions that help SUSE and IBM create unique value in the marketplace. His specialties include IBM Zand Power Systems, Real Time Linux, High Availability and as a SUSE SAP Champion focused on SAP solutions using SUSE technologies. Before joining the alliances team, Mike’s worked for many years with customers interested how Enterprise Open Source technologies from SUSE could benefit their business. Mike graduated from Regis University with a degree in Computer Networking and enjoys camping especially in his home state of Colorado. On this podcast, Jeff and Mike talk about value of Linux on the mainframe and Mike talks about his perspective on the cloud and how the mainframe supports that kind of operational model. Jeff Frey: Hello. This Jeff Frey, a retired IBM’er and IBM Fellow, and previously the CTO of IBM’s mainframe platform. 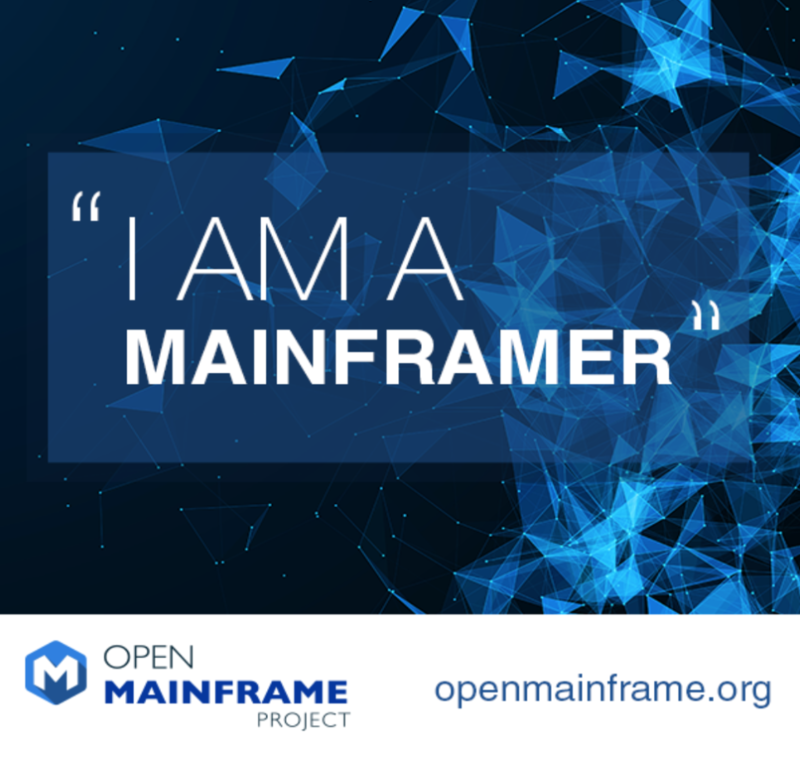 Once again, it’s my pleasure to host another edition of the I Am a Mainframer Conversation Series, sponsored by the Open Mainframe Project. As a Linux Foundation collaborative project, the Open Mainframe Project is intended to help create a mainframe-focused, open-source, technical community. It’s also intended to serve as a focal point for the development and use of Enterprise Linux in a mainframe computer environment. The goal is to excite the Linux community around the use of the mainframe, and to foster collaboration across the mainframe community to develop and exploit shared Linux tool sets, resources, and services in a mainframe environment. In addition, the project seeks to involve the participation of academic institutions to help assist in creating educational programs aimed at developing the mainframe Linux engineers and developers of tomorrow. For today’s conversation, we have the pleasure of speaking with SUSE’s Mike Friesenegger. Mike is a technical strategist and a solutions architect in the SUSE Alliances Team. He’s assigned to a Global IBM Alliance and works closely with many of the groups in IBM to identify, test, and document joint solutions that help SUSE and IBM create unique Linux value in the marketplace. His specialties include IBM System z, Power Systems, Real-Time Linux, High-Availability and as a SUSE ASP Champion focused on SAP solutions using SUSE technology. Mike, welcome to the broadcast. It’s a pleasure to have you on. I’m looking forward to our discussion. Mike: Thanks, Jeff. I appreciate it. Jeff Frey: Mike, maybe to get started we can, you know, start with … Tell us a little bit about you and your background, and what you do at SUSE. Give us some perspective on Linux and the mainframe, if you would. Mike: Yeah, well if you don’t mind, I’m going to go aways back to when I first started my career in IT. My career in IT started as a second-shift mainframe operator. Basically, what that meant was I did remote job entry of JCL and COBOL jobs to a mainframe sitting somewhere in the United States. My job was to make sure those jobs ran in the evening for the manufacturing company that I worked for. Then when the jobs were done, I printed the reports. I had to burst the reports, if you remember multi-copies, paper. I had to split them apart and deliver them to different groups within the manufacturing organizations and things like that. That’s where I cut my teeth for the very first time on the mainframe. That’s all I really knew about it was a little bit of JCL, a little bit of COBOL. I learned things in college and university, but after that company that I worked for switched to IBM Power Systems, I stopped using the mainframe. I started learning more about Unix. Fast forward many years to when I started with Novell and Novell acquired SUSE. I knew a lot about Unix and they said, “Hey Mike, why don’t you go over there and learn more about SUSE and what it can do, because you already know Unix?” I said, “Great.” Shortly after that, I found out that SUSE Linux Enterprise server, our Enterprise operating system here at SUSE, ran on IBM Z Platform. At the time it was z Systems, you know, it’s changed names from z Systems to Systems z. Now it’s the IBM Z Platform in IBM LinuxONE. In my role today, one of the areas I’m very passionate about is the Z Platform, the LinuxONE Platform. I spend a lot of time working with, not only IBM groups that are focused on Z, but I’m also talking to customers of SUSE that are using the IBM Z Platform and the LinuxONE Platform. Jeff Frey: Great. Cool, so let me follow up on some of this. You know, there are a lot of people … I think are still somewhat unaware of the relationship of Linux on the mainframe. Some people aren’t even aware that Linux is available on the mainframe. In discussing this with your work in the Linux environment and all your work with customers, what would you describe the value of Linux on the mainframe? Mike: Well, the historical value … I’m looking at it from a historical perspective, and also what I see as the up and coming strengths of the mainframe. You keep using the mainframe, I should just call it the LinuxONE Platform or the Z Platform. The historical strengths have been always around the reliability of the system. Also because of the architecture, it allowed organizations to do massive consolidation, especially of heavy IO-based workloads, so databases and things like that. That is still a very valid use case and work load. When I talk to IBM’ers, when I talk to customers, they want more than that in their environment. They want to take advantage of the new things that IBM’s bringing to the table. With the z14 and the announcement of the new, I believe it’s the ZR1, if I’m remembering the terminology correctly, IBM is really focused on the security aspects, pervasive encryption. IBM has proven that not only can you do massive consolidation of databases, but you can take advantage of the new and upcoming open-source technologies like containers and container orchestration. Do it in quantities and numbers of containers running on a single system that other architectures can’t even touch. I care about more than just the operating system. Although the operating system is important, no customer buys a LinuxONE system or a Z system or any system, just to run an operating system. They want to run applications on top of it. As SUSE is moving up the software-defined infrastructure stack, I would like to see that happen for SUSE and for the community to move up the stack on the Z side of the world. Jeff Frey: I agree with that. I think the foundation of Linux and the mainframe in terms of its qualities of service, its economy of scale, its security and availability, all provide, you know, a great foundation for, you know, the kind of requirements that exist in an Enterprise environment. Security being very important, as we know, and continues to be even more important, I think, moving forward. You mentioned, you know, containers and the whole notion of being able to virtualize a platform to, you know, to get more out of it and to host, you know, hundreds if not thousands of users and virtual images in containers. These are all strengths of the mainframe that can bring to bear on some of these new workloads. You mentioned cloud. This is a particular interest to me. The mainframe, of course, known for its traditional workloads, you know, transaction processing, in particular. You know, as we move into these spaces where there’s more intelligence in the data. We’re talking about business and data analytics, especially the economic model and the operational model around cloud. Talk to us about what your perspective is on cloud and how the mainframe supports that kind of operational model. Mike: Sure. Well, so a couple of things. With IBM’s announcement, I think it was within the last week and half of the ZR1 version of the z14, where it sits in a standard 19 inch rack. I think IBM is giving organizations this flexibility to put all of the things that we both talked about, the reliability, the scalability, all of the things that you did so well explained what the platform does. Put it into a standard rack that, not only customers can take advantage of, but public cloud providers or MSPs could take advantage, if they have customers that are looking for managed services, but they want the reliability. All the things that we talked about of the Z or the LinuxONE Platform. From a SUSE perspective, SUSE is very embedded and ingrained with the OpenStack organization. We are one of the founding members of the OpenStack Foundation. One of our employees has been part of the board of the OpenStack Foundation. When I’m looking at infrastructures of service-type tools and self-service type tools that an organization or a pub of pub provider an MSP can use, I’m thinking in terms of OpenStack. How OpenStack can be tied into both the traditional hypervisor, the z/VM hypervisor on the Z Platform, the LinuxONE Platform, but also the KVM hypervisor. I’m kind of looking at it from both perspectives, but I think OpenStack is where I’m spending a lot of my time talking with customers and also talking to IBM folks internally. Saying how can we move this thing forward and make a plug for the Open Mainframe Project? I’m part of the Open Mainframe Project and I’m part of the sub-project that’s focused on infrastructures service for Z and LinuxONE. We have calls every other week. We have actually one coming up here very shortly today. That’s exactly what we’re talking about. We’re talking about how to provide self-service mechanisms like OpenStack or if a customer wants to build their own self-service mechanism to easily provision the resources that are on the Z Platform for whatever the customer needs to use it for. Jeff Frey: That is great. It goes to your point earlier about moving value up the stack. We can talk a lot about the openness and the, you know, the fact that Linux as an operating system environment on the mainframe behaves and expresses itself just as any other Linux would on any other platform. As you start moving up the stack and we’ve also talked about, you know, the availability of Linux-based applications that run on the mainframe. There’s been an ever increasing number of vendors and third-party suppliers of software and open source software that run on the mainframe. It’s always struck me that one of the potential gaps here was, you know, some of the management tools that kind of sit above the operating system. OpenStack is a great example of that, because, you know, the way the system is managed is a critical component of how Linux and the mainframe value proposition is expressed to customers and clients. If OpenStack really makes good on its promise as a mechanism to integrate, even in a multi-platform environment, a set of virtual resources that can be dynamically managed and provisioned, you know, in a cloud-based environment. That has been one of the pieces, I think, that has needed focus in the mainframe environment. I’m really glad you guys are doing that. Mike: Yup, well anybody can look me up. If they want to, I will be happy to send them a video of a demonstration that I did to the Open Mainframe Project on how SUSE opens that cloud. Our OpenStack distribution integrates with z/VM and provides the self-service portal and this self-service way of automatically provisioning z/VM resources for usage in a customers’ environment. Mike: Yeah, if you don’t mind, I’d like to just wrap up. One of the things that I see that has made the adoption of Linux and open-source technologies on the Z a little difficult, not a little, a lot difficult, has been access to hardware. I want to put a plug into IBM, thank IBM and Marist College and the other universities that are providing the LinuxONE community cloud resources that people that are working in open source. If they have an interest in bringing a project to Z and to LinuxONE, they can go to the LinuxONE community cloud, sign up for an account, test out their project on there. Then they can take advantage of the tools like SUSE, the Open Build Service. It’s something that SUSE’s given to the community. They can build their packages, not only for SUSE distributions, but Red Hat, Ubuntu, Debian distributions and things like that. S390X, the architecture designation for Z, is one of the targets that can be used with the Open Build Service. I think the access to resources is that challenge. While it still exists, it’s becoming a little less, making it easier for the community to gain access. Hopefully, people that are interested look up the things that I spoke about, and try to build their most favorite project on a Z Platform. Jeff Frey: Thank you, Mike. Really appreciate it and, you know, maybe we’ll talk on one of these open mainframe project calls. I don’t know if you attend the face-to-face meetings, but once in a while I drop in there and help out with the projects. I’ll look forward to talking with you again, Mike. Thank you so much for the broadcast today. It’s been great. Mike: Thanks, Jeff. Appreciate it.